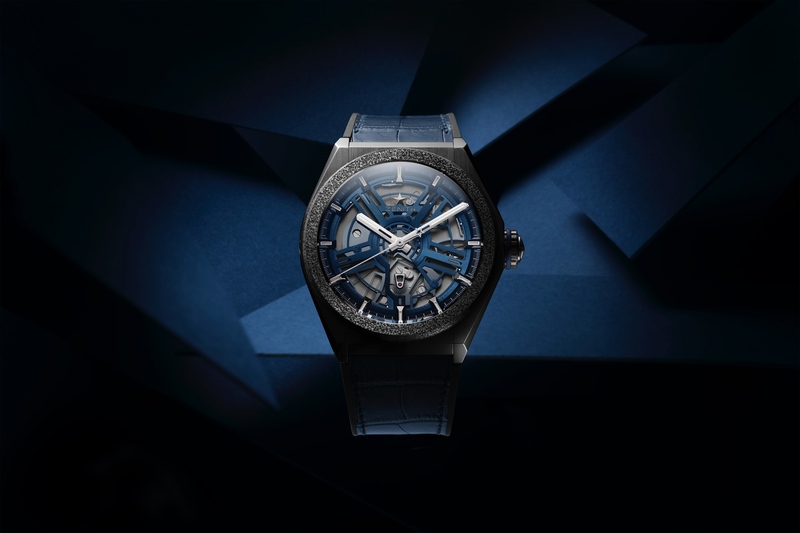 The case looks similar to a forged carbon fiber, which was pioneered by Audemars Piguet, however, likely due to its brittle natural the company eventually moved to ceramic which is far less susceptible to damage, as you can see with their diver from 2013 and the latest Royal Oak Perpetual Calendar in ceramic from SIHH 2017. 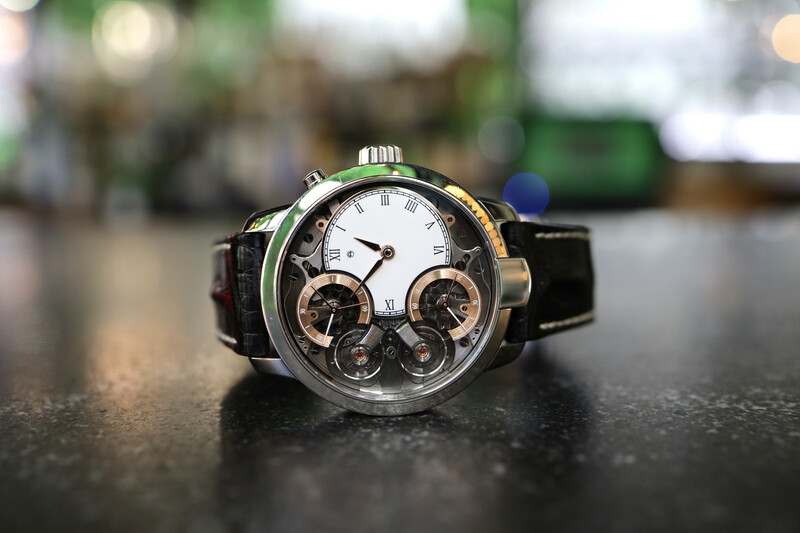 Panerai, DeGrisogono, and Dietrich all have their versions of forged carbon cases as well. And most recently, Victorinox announced a carbon compositive version of their rugged I.N.O.X. watch. 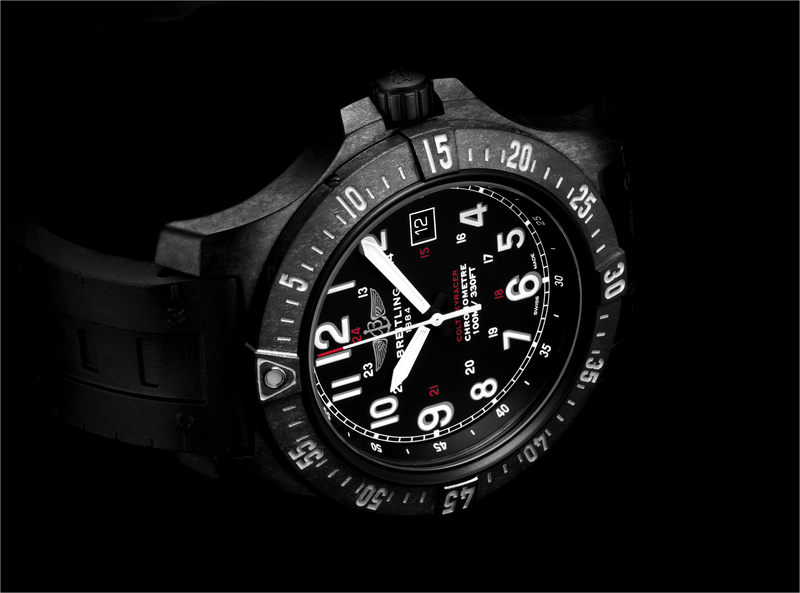 Ultimately, Breitling has created a newer, lighter polymer (plastic composite) that has the look of forged carbon, but with a much more durable structure. It is hard to imagine customers paying north of $8,000 for the aforementioned Avenger Hurricane with a plastic case, but maybe the new Superquartz equipped 45 mm Colt Skyracer in Breitlight will be cheap enough to appeal to the high-end quartz buyer. 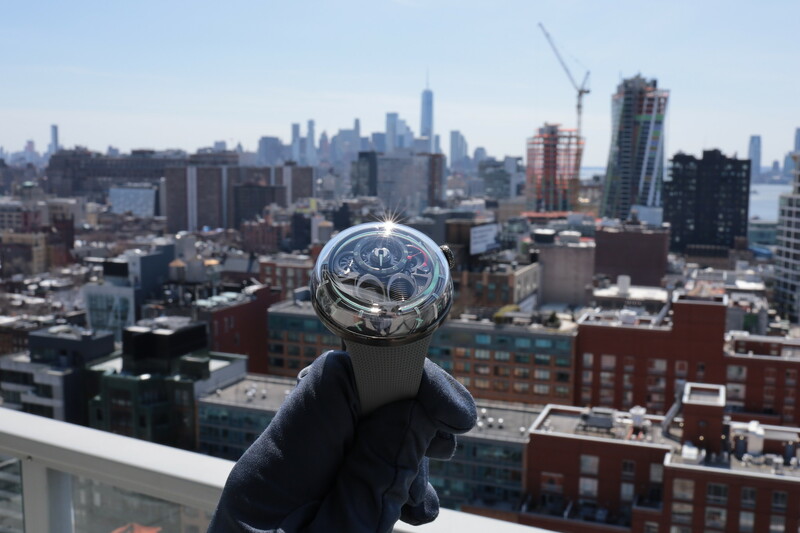 As I know that a typical mechanical watch enthusiast buying in the five thousand dollars plus price range is most likely going to want a watch made of stainless steel, titanium, or even ceramic.